Medications: Monitored daily with pharmacy. Delivery services available. 24-hour Personal Assistance: Staff will assist with bathing, grooming and dressing as needed. Housekeeping: Provided weekly or as needed based on individual needs. Laundry: Provided weekly at a minimum or more often depending on resident needs. Food Service: Three homestyle meals served daily plus snacks and beverages. Activities: Social events, games and physical exercise are planned throughout the month. Beauty Shop: Services available on a weekly basis at our onsite beauty shop. 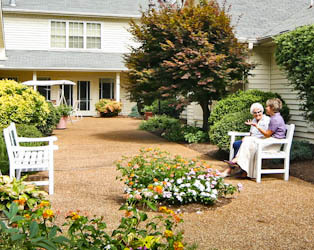 Therapy: Physical, speech and occupational therapy can be arranged with local home health agencies. Utilities: All utilities are supplied. Telephone and cable TV are contracted individually with local providers. Please take a few minutes and visit Southern Oaks Assisted Living today! This is the very best way to experience our caring staff and comfortable atmosphere.